I had a chance recently to roll out my first set of LinkedIn Sponsored Posts. The setup process was incredibly easy but more detailed than what you typically do with a Facebook Sponsored Post – you select the update you want to sponsor (you can do them in bulk), set your budget, and then set your targeting. 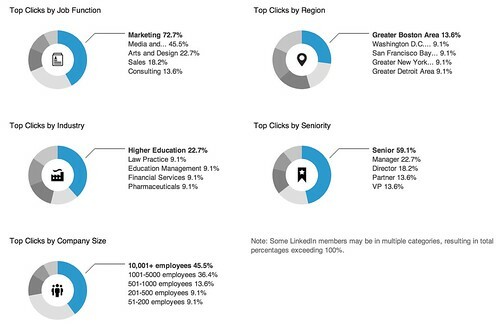 For the same time period, the click through rates (CTR) on standard pay per click ads on LinkedIn achieved a 3% CTR. The sponsored posts landed a 53% rate for the same offer, just in a sponsored post format. 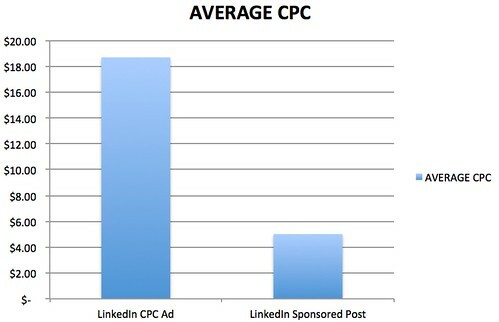 For the same time period, the cost per click (CPC) on standard pay per click ads on LinkedIn was $18.69 per click, while the sponsored post was a mere $5.01 per click, a savings of 73% for every dollar spent on advertising. 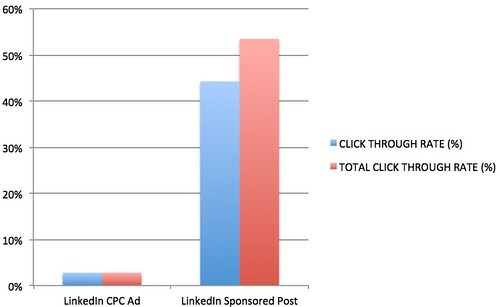 The evidence from this trial suggests very strongly that you should give LinkedIn Sponsored Posts a try for your social media promotions and see if it performs as well for you!